Madrid, June 1 st 2017. The ElasTest project, with an € 5M of EU funding under the Research and Innovation action from the Horizon 2020 program kicked-off in January 2017. Partners from academia, research institutions and IT companies are working together with the overall aim to offer an elastic platform for testing complex distributed large software systems to help end-to-end testing. Discovering the design defects in any software, is equally difficult, for the samecomplexity reasons. In fact, the most limiting factor in delivering complex software timely is software validation, which typically requires very costly and complex testing processes to ensure the software is free of errors. From 23rd January till 3rd February 2017, 40 commercial and open-source-implementations of the second version of the ETSI NFV (Network Function Virtualization) standard that was released in autumn 2016 were tested in Madrid. AV - Next Generation Networks and Fraunhofer FOKUS provided Open Baton, an ETSI NFV MANO compliant and vendor neutral framework for management and orchestration of network functions. „We have successfully tested the virtual network functions of 14 participant companies during the two weeks of the first ETSI NFV Interoperability Plugtest in Madrid. We gained a lot of experience managing and orchestrating carrier-grade Virtual Network Functions, which will be drivers for further developments of Open Baton”, says Guiseppe Carella, researcher from the the Chair AV - Next Generation Networks. „The smooth integration of third parties VNFs and NFV Infrastructures was achieved thanks to the very extensible plugin mechanisms provided by the Open Baton framework. Providing an extensible mechanism for integrating with different versions of OpenStack APIs, and VNF management system, is a key for success of NFV MANO frameworks.”Open Baton allows for rapid prototype development of new network functions without the need for changing the orchestrating logic. The platform enables a virtual functional development on a NFV Infrastructure and thereby forms a bridge between infrastructure providers, who want to know more about network services and service providers who require suitable infrastructure for the virtualization.Preceding the Plugtest, a remote-test with 29 Labs was carried out in November 2016. The final evaluation report will shortly be published by ETSI. Video - What is Open Baton? 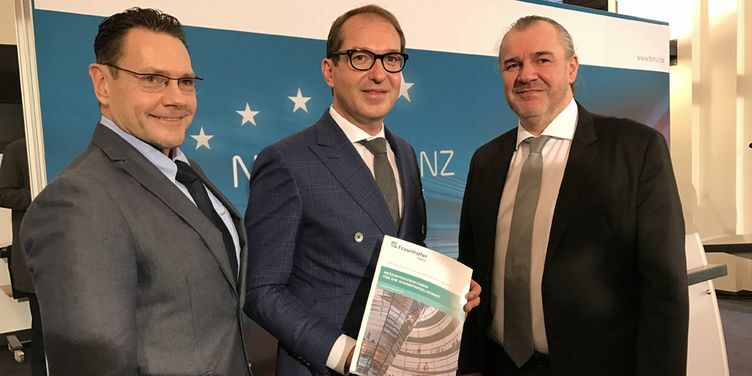 NGNI/AV experts supported the production of a research study on the Requirments for the German Gigabit Network Infrastructure 2025, which was used as major input for the new German Gigabit Initiative Action plan. Prof. Hauswirth and Prof. Magedanz presented the final Study to the Netzallianz group and Minister Dobrindt on November 8th, 2016 on week before the national IT Summit. The basis for the key features is the study "Netzinfrastrukturen für die Gigabit-Gesellschaft" (“Network infrastructures for the Gigabit-society") launched by the Federal Ministry of Transport and Digital Infrastructure at the initiative of the “Netalliance" and carried out by FOKUS. The key features describe the steps towards a gigabit society and the necessary actions required therefore. Constituent parts among others are the new mobile standard 5G and intelligent networks. “From the analysis of the various application areas within the framework of the study, the demands for the expansion of network intelligence can be derived. Apart from the transport of data, in the future the network will assume further functions and provide services. The basis for this is the visualization of network functions: The network adapts dynamically and differentiates the requirements of various applications", said Prof. Dr. Manfred Hauswirth, Director of Fraunhofer FOKUS on the occasion of the release. The Southern African Telecommunication Networks and Applications Conference (SATNAC) is the continent’s leading ICT conference where Industry, Academia and Operators converge. It provided a platform for academic and industry partners to share ideas, current work and future research directions. 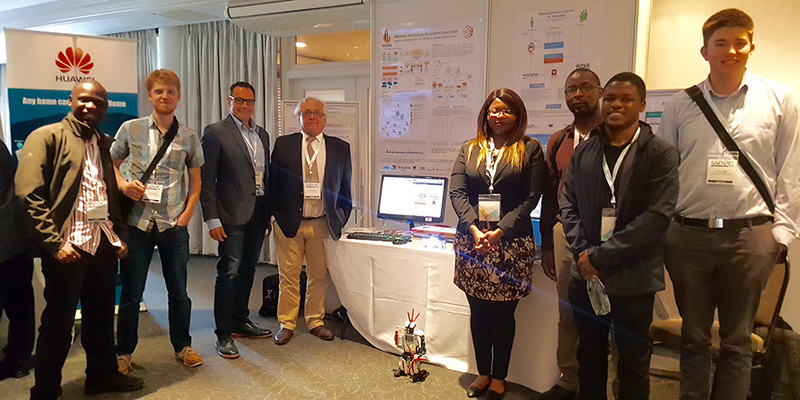 Based on the long successful cooperation among FOKUS, TU Berlin and the University of Cape Town, the demos showed the usage of the OpenMTC platform in different IOT Use Cases. Three use cases, namely smart home energy management; environmental monitoring and emergency services using remote robotic control were showcased. The team at UCT is Neco Ventura, Joyce Mwangama, Nyasha Mukudu, Nataizya Sikasoti, John Lewis and Fredrick I Chisanga. The SoftFIRE project consortium is happy to announce the first open call for experimenters interested in NFV and SDN technologies. The different partners of the SoftFIRE project consortium have been quite busy in the last months building a federated infrastructure based on open source technologies like FITeagle, Open Baton, and OpenStack. This infrastructure brings together different heterogenous testbeds providing SDN and NFV capabilities for experimenting with Programmability, Security, and Interoperability aspects in order to boost the developments of a 5th Generation of Mobile Networks. In addition, some testbeds offer Radio Access Technologies in order allow experimenters using Mobile Devices attached to a geographically distributed mobile network infrastructure. Fraunhofer FOKUS and TU Berlin are leading the activities related with the infrastructure instantiation: FITeagle will offer a FIRE-based northbound interface to 3rd parties who wants to program their experiments in an automated way, while Open Baton will serve as NFV Orchestrator for setting up different network slices on top of a distributed OpenStack-based infrastructure. Finally, OpenDayLight and ONOS will be integrated and offered to experimenters in order to instantiate virtual networks on top of the distributed SDN Infrastructure offered by JolNET (the Telecom Italia testbed). The SoftFIRE project is now ready to receive proposals for experiments to be carried out on the Federated Testbed. There are at least two objectives which have to be fulfilled by experimenters interested in submitting a proposal: either enhancing the testbed developing or testing new functionalities, or producing and validating new services, systems and applications that can benefit of such distributed SDN/NFV infrastructure. 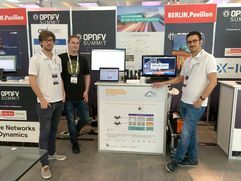 The 2nd OPNFV Summit, June 20-23 in Berlin, Germany, was a great success with 620 people in attendance from the NFV ecosystem. 300 attendees joined for the Design Summit that included events with ARM NFV Ecosystem, FD.io/DPDK, ONOS + CORD, ONF, OPEN-O and OpenDaylight. During these days there were several interesting discussions on the upcoming projects and research items in NFV and SDN. This year is considered the Orchestration year, where many interesting projects around ETSI MANO have been launched by different organizations. This is generating discussions and debates in the international communities. 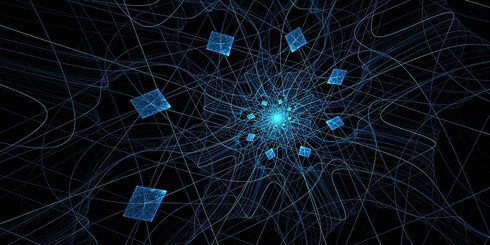 It is still unclear if/what will be a convergence towards a common information/data modeling of virtualized network functions and services. The initiative has been represented by Prof. Thomas Magedanz who gave an interesting presentation about the Open Baton project and its important role in the emerging federated SDN testbeds. Considering the fragmentation of the current ecosystem, it is rather important to have solutions which are easily extensible and flexible enough to accommodate several use cases. Open Baton, with its second release is modeled around an event-driven architecture; it provides several mechanisms for supporting different use cases. The upcoming integration with the ONOS platform will allow the instantiation of end-to-end virtual networks for the initial prototypes of network slicing concepts. More details about the presentation: Prof. Dr. Thomas Magedanz presented "Open Baton in the 5G Berlin Initiative and Emerging Federated SDN Testbeds" during the Research and Future Track. Download the presentation (PDF, 26 MB). On 3-4 May 2016, twenty thought leaders from the IEEE SDN Initiative, EIT Digital, service providers, industry and academia gathered for a two-day workshop in San Francisco, California to discuss the idea of a Federated Testbed (FTB) that would allow accelerated development of SDN and NFV as two important components of 5G era networks. 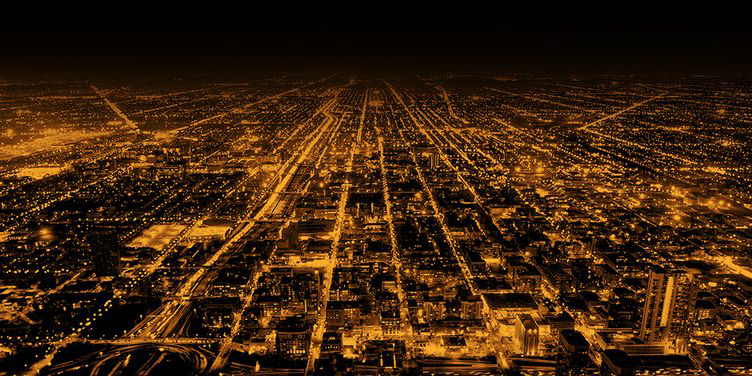 A new, international Open Testbed Community (OTC) emerged from an intensive workshop on federated testbeds that took place in San Francisco the week of May 3rd. This workshop was spearheaded by leaders from the IEEE SDN Initiative1 and EIT Digital2 . As we move from the era of protocols to the era of innovation in the global Information and Telecommunication ecosystem there is an opportunity to consolidate disjointed development efforts. This opportunity will leverage Software Defined Networks (SDN) and Network Function Virtualization (NFV) for agile, robust, interoperability between SDN islands. The workshop culminated in a significant intent to start an Open, Federated Testbed (OFTB) by interconnecting three existing centers of expertise based in the USA and Europe. The outcome of these efforts will be reported in the Berlin5GWeek event in November 2016. The workshop brought new collaboration and support for the IEEE SDN Initiative that is building an engineering catalog of testbeds, toolkits and software that can be rated by the technical community. They will also track testing requests to better coordinate effective use of OTC resources and prioritize testing. This nicely complement the effort of EIT Digital to expand the Federated Testbed (FTB) started in 2016 and under expansion that can be used to stimulate innovation in the area of 5G and future communications services. Read the first issue of the TEAM newsletter! The TEAM newsletter will keep you informed on the TEAM community achievements and success stories, ICT related news and upcoming events on a regular basis. The Title of the PhD is: “Application-derived Communication Protocol Selection in M2M Platforms for Smart Cities"
Supervisors have been Prof. Dr. Thomas Magedanz (Technische Universität Berlin), Prof. Dr. Ventura (University of Cape Town), and Prof. Dr. Küpper (Technische Universität Berlin). 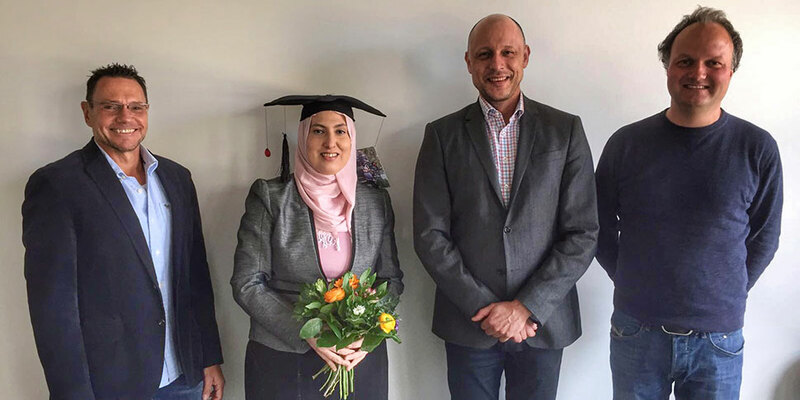 Asma Elmangosh had a scholarship from Lybia and worked the last 4 years on this interesting Smart City topic and published numerous papers on the FOKUS OpenMTC extensions. She will leave us and wants to continue her academic career. The TUB AV and FOKUS NGNI Teams wish her success for the future. 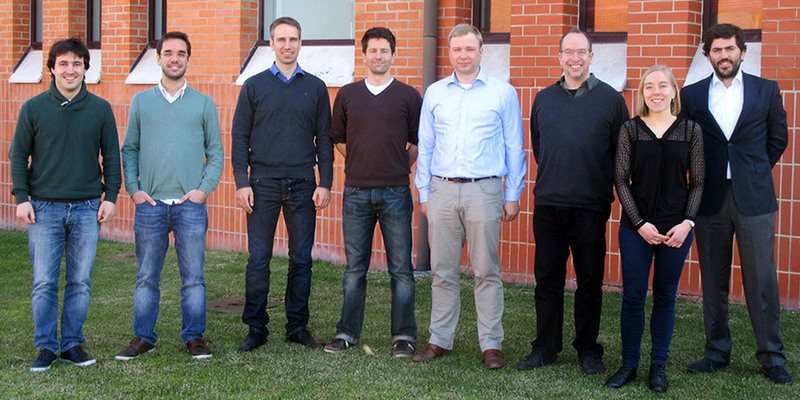 On the 21st and 22nd of March Ronald Steinke, Thomas Günther and Alexander Willner joined the plenary meeting of the project EMBERS (Enabling a Mobility Back-End as a Robust Service) in Aveiro, Portugal. The innovation project aims to bring the Citibrains SmartCity backend solution to market by testing and extending it within the two FIRE facilities FUESCO Playground in Germany (using the standard compliant OpenMTC framework) and the FIT IoT-Lab in France (using a wide range of programmable sensors).